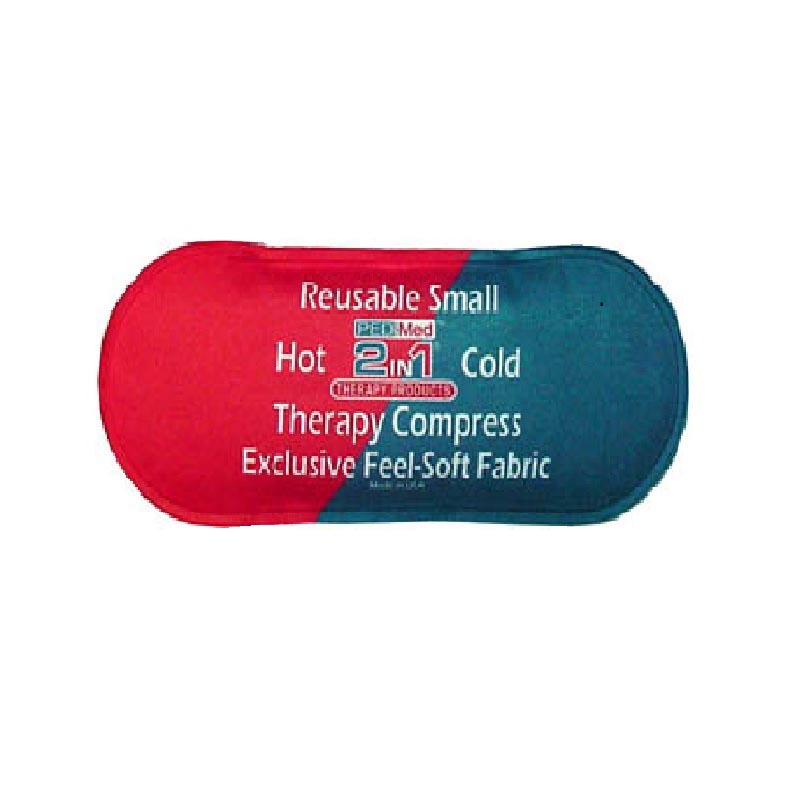 The Reusable 2in1™ Small Therapy Compress provides direct hot or cold therapy through deep penetrating moist heat or soothing cold. This item is small enough to fit in your purse. It is economical with a dual purpose and best of all reusable. Kid size is is useful in pediatrics. When water is added this item is 7 1/2"L * 3"W, 3.7 oz. 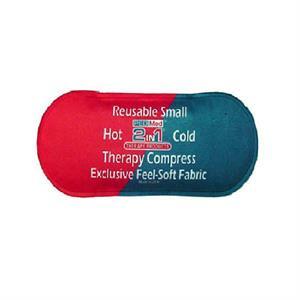 The compress is filled with a unique non-toxic gel. It is made with our Exclusive Feel Soft Fabric which is smooth and comfortable to the touch. The product is flexible and remains flexible even when cold.